The context for this discussion is that the highlight of the traditional Yom Kippur liturgy has historically been Seder HaAvodah. It is, of course, a poetic recollection and a kind of literary re-creation of the ceremony of Yom Kippur as it was performed in the days of the Temples, the First and Second Temples. And, as we know, after the destruction of the Temple, the Rabbis responded by building new religious paradigms that would also achieve atonement, things like t’shuvah, t’filah, tzedakah, as well as some others. And yet the original ritual of Yom Kippur with all of its powerful drama was, in some ways, a bit too powerful in the Jewish imagination just to be consigned to the realm of ancient history. And so Seder HaAvodah emerged as a liturgy in a way that allowed the Rabbis to adapt this ancient practice and to turn it into liturgy to show how words could come to replace the very things that the words themselves describe. And it’s that very idea that is one of the reasons that reworking this in some way might be very exciting for liberal Jews, this notion that words come to replace the very acts that they describe. The literary genius of the Jewish people is evidenced throughout this liturgy in terms of various piyutim that were written over the centuries to kind of frame the narrative of everything that took place, the High Priest’s preparations and his entrance into the Holy of Holies on this one day a year. Largely, we could say that the liturgy is an expansion of Mishnah Yoma. That tractate is an unusual tractate because it’s really distinguished by a narrative style, and most likely, our first Avodah service was simply a reading of selections from Mishnah Yoma. In fact, there are two sources in the Talmud Bavli that describe prayer leaders on Yom Kippur reading their version of the Mishnah before Rava in the fourth century. And as that Mishnah became adapted through the years to make it more compatible with the synagogue service, we have the origins of the Avodah service, so that by the fourth or fifth century, there emerges a kind of a classic style of the Avodah service. That structure takes the following form: First, it begins with an introductory piyut that provides a context for the Yom Kippur ritual, and these introductory piyutim are usually acrostics that start with the creation of the world and then culminate in the appointment of Aaron as the High Priest and Aaron and his sons performing this Yom Kippur ritual. There are a variety of different piyutim that do this, but they almost all have the same form in terms of beginning with Creation and working up to Aaron and his sons. The most common one in Ashkenazic communities is Atah Yatzarta, and the most common in Sephardic is Atah Konanta. Chaim Stern, alav hashalom, took his inspiration for the way that Gates of Repentance reinterpreted the Avodah from this introductory piyut of the Avodah service, and then rather than have it conclude with the establishment of the Yom Kippur ritual by Aaron and his sons, he had the poem continue through the Shoah, through immigration to America, the reestablishment of the State of Israel. It’s probably one of the most interesting and creative parts of Gates of Repentance, but it’s also interesting to note that it wasn’t used to lead up to the ancient ritual of Yom Kippur, but was inspired by this introductory piyut. So, that’s the very first piece. The second piece of the Avodah service is the narrative of the Yom Kippur ritual itself, the expansion of Mishnah Yoma, including the three confessions made by the Kohein Gadol. Much of this is also poetic. There are different versions. Much of it draws not just from Rabbinic text, but from the Apocrypha, like Ben Sira, and from other Second Temple texts, and it’s a mix of dramatic reading and ritual wherein traditionally the congregation prostrates themselves each time and reciting Baruch shem k’vod malchuto l’olam va-ed. Each time they recall the High Priest saying the name of God in the Temple. This narrative section concludes with the successful exit of the High Priest and the idea that atonement has been achieved for Israel. And then there is also a blessing that the High Priest would say upon exiting safely the Holy of Holies, and sometimes that blessing is moved in the services to the end of the narrative or even to the end of the whole Avodah service. So, we have the introductory piyut, the narrative of the Yom Kippur ritual itself, and then finally there’s a prayer acknowledging that we can’t perform these acts any longer. And this is part of the Avodah service that attempts to bridge the gap between then and now, and particularly for non-Orthodox liturgies, this is an opportunity to make the case for the validity of what practices emerged instead of this ancient Yom Kippur ritual. Seder HaAvodah has within it some profound ideas that can be easily translated to a contemporary context, and I want to highlight just seven of these themes. One is that our need to give is even greater than our desire to receive. That the Avodah service inspires us to rethink sacrifice as a form of gift-giving where the desire to give back to God is paramount and where, because of the tremendous gap that exists between us and God, there’s a real uncertainty about whether our gift will be accepted. And this is an idea that I have really learned to appreciate through the work of Moshe Halbertal. The second idea is there’s something exceptional and maybe even unjust about the nature of Yom Kippur where even sins committed b’meizid, deliberately, can be forgiven. And it seems to run against the prophetic impulse for justice, contracted, for example, with Jeremiah, chapter 7. This is an idea I was introduced to by Rabbi Yoel Bin-Nun in Israel, and the Avodah service emphasizes and even intensifies an already radical idea that Yom Kippur, the day itself, can erase deliberate sin, and the Rabbis take it even further in saying it can turn sins into merits. The third idea is about God’s proximity. Jacob Milgrom, alav hashalom, wrote and taught about the way in which the pagan understanding that Judaism adapted and changed was that the gods could be driven out of their houses by demons and that Judaism said the demon that can drive our single God out of God’s house is human sin. And so we need this one day a year to cleanse the sanctuary so that God won’t be driven out of God’s house. There was a kind of an understanding of almost a magnetic force that drew human sin to the Temple. So, this theme in which human sin polluted the Temple is really demonstrative of the way in which human action can drive God away from our world. The fourth idea is the aspirational and the real aspects of the Temple service. There are numerous stories to draw upon from Rabbinic literature that emphasize the gap between what we wanted the Temple to be and what it actually was. The fifth idea is a proper balance between ritual and the ethics that they’re intended to bolster. What ideas are at stake in the detailed ritual of the Avodah service, and what ideas are at stake in the rituals that we still affirm? So, this is a kind of way of rethinking ritual, not necessarily as empty, but thinking about how ritual can be a kind of performance that embeds a set of ideas. The sixth idea is that each of us today is a Kohein Gadol. What are the implications of now saying that every person is a High Priest? And finally, this whole Avodah ritual emphasizes the communal nature of seeking atonement, that the fate of the entire nation is in the balance. And so, in a way, the Avodah service can be a kind of corrective to an increasingly individualistic form of spirituality. The Avodah reminds us that the experience of Yom Kippur is communal, not just in the sense that many separate individuals come together to do t’shuvah, but that we’re seeking also a kaparah, an atonement, as an entire nation. 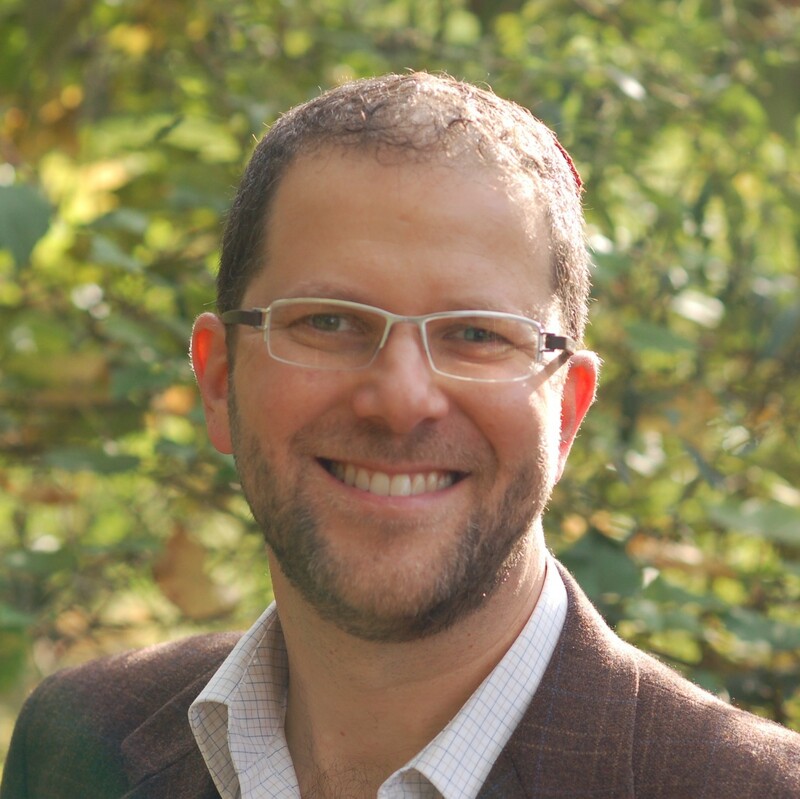 Pragmatism versus the Talmudic Process in Reform Judaism: The Minyan as Case Study?